Soak the dates in ¼ cup of hot water for 5 minutes. 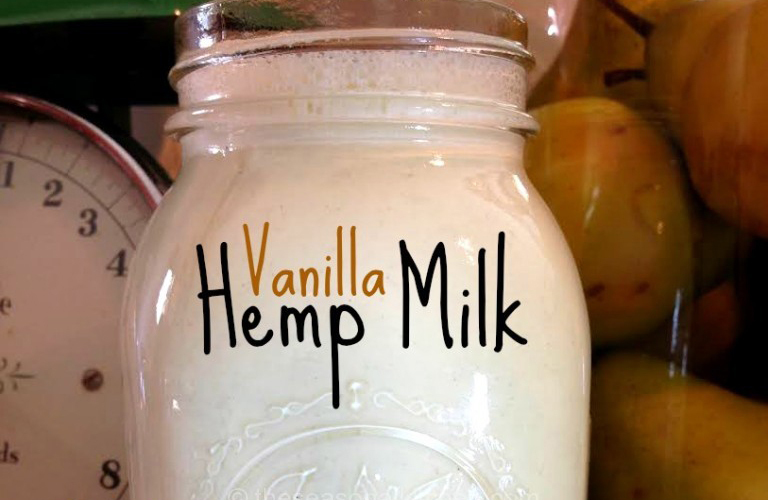 Add the dates and soaking water along with the hemp seeds, vanilla, and water to the blender. Cover the blender tightly and blend on high for 1 minute. Strain through the nut milk bag over a large bowl. Gently squeeze the milk through the bag so that you do not put excess pressure against the seams of the bag. Pour the strained milk into a glass jar to store and cover tightly. The milk lasts up to 4-5 days.